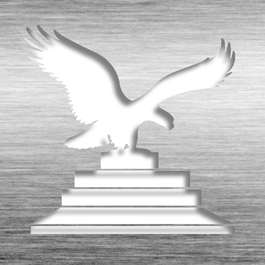 This TransLucite ® Plaque is elevated 1/2” from the wall creating a floating effect. This is a simple display solution that would look elegant for your patent wall or other areas of your office. 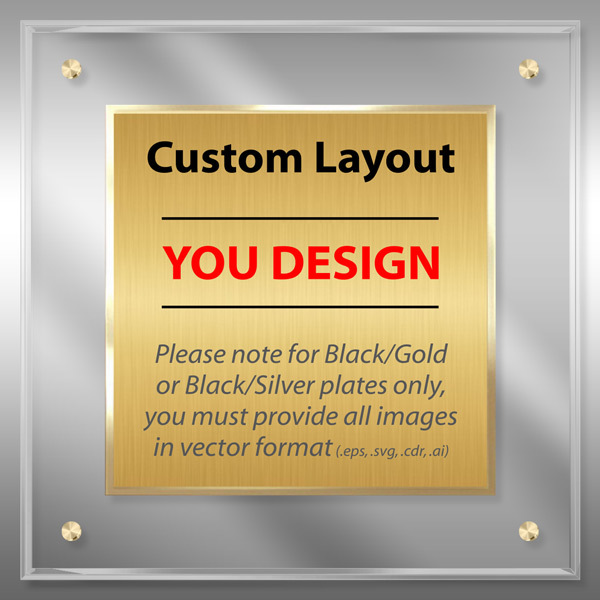 The Gold HD Plate is mounted on a 3/16" beveled Lucite ® plaque and accented with Euro-style metal caps and stand-offs. The plaque is elevated from the wall creating an amazing dimension. Custom Layouts available with USPTO Patent Seal, Patent Number, Inventor, Title and others. Hardware is available in three premium metal finishes: Chrome, Gold and Satin Silver. Also available in our Silver HD Plate. This Patent Plaque - TransLucite® CL1-EZG12 is part of our Modern HQ Series of products, check out other products & options available in the Modern HQ Series of our selection. This Patent Plaque - TransLucite® CL1-EZG12 can be modified to your requirements and is available for your corporate award programs.